Last week I was feeling a little down. Easter was coming and my husband and I were going to be home alone this year. No kids, no candy and no Easter dinner. You don't cook Easter dinner for two...it just doesn't happen. It's not designed for two. 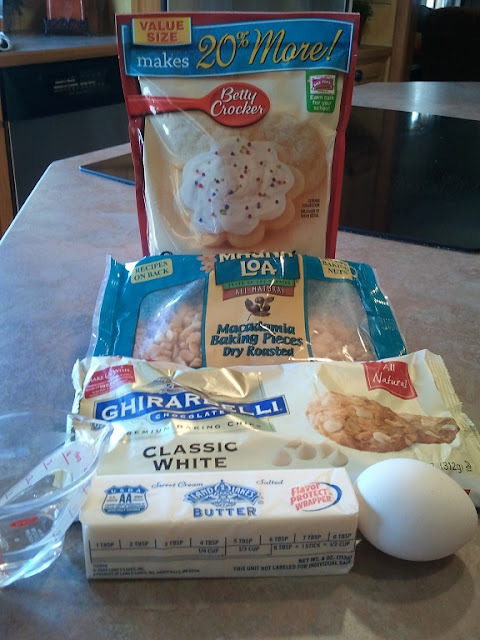 So I decided to make a quick trip to the grocery store for chocolate chips and walnuts to make a batch of "cheer-me-up" cookies. I ran into my friend, Roberta, in the baking aisle and quickly confessed that I was on a mission to get baking supplies for my pity party. She gave me the greatest idea for some super easy and delicious cookies! 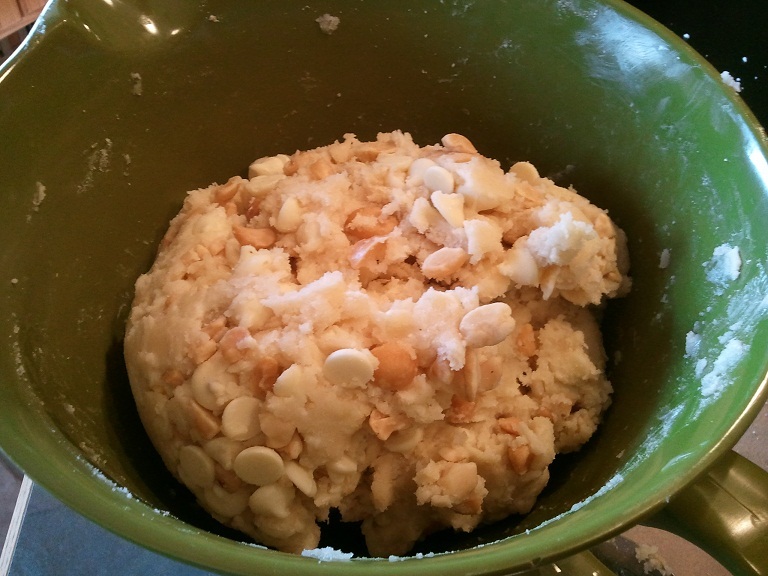 You start with a sugar cookie mix, making it according to the directions, and then add 1 cup of macadamia nuts and 1 cup of white chocolate chips. Bake as directed on package. 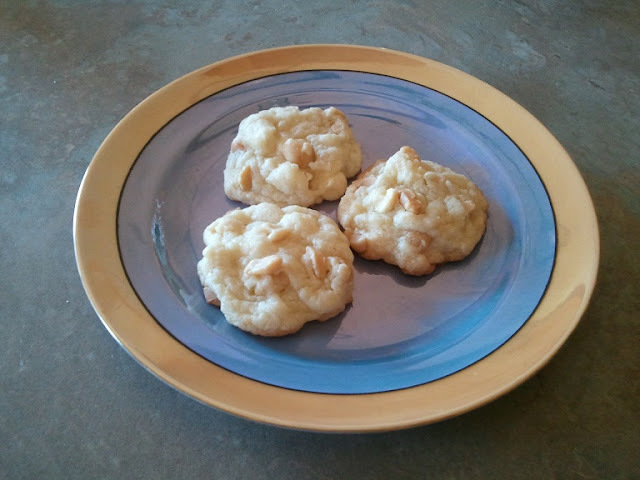 Macadamia nut and white chocolate cookies...yum! Cookie dough with macadamia nuts and white chocolate chips. My idea...a touch of coconut on top! 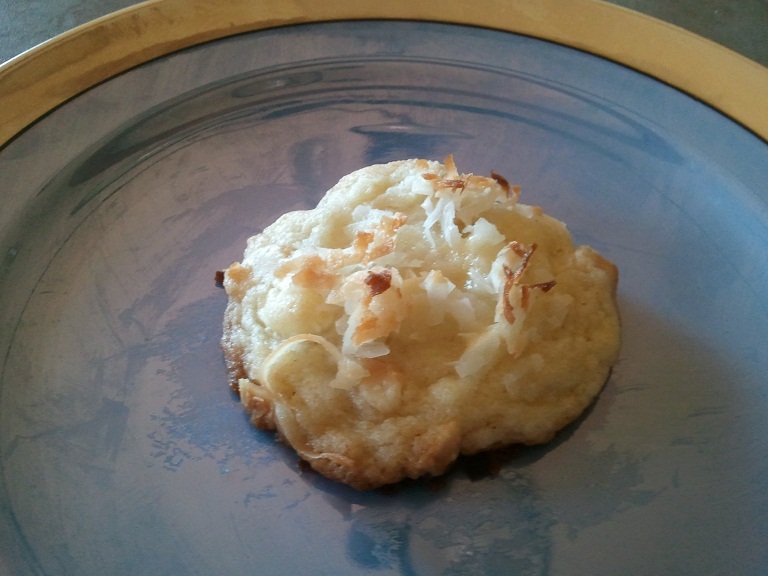 After the first batch baked, I decided to add a little shredded coconut on top of the next batch before baking...these were soooo good! 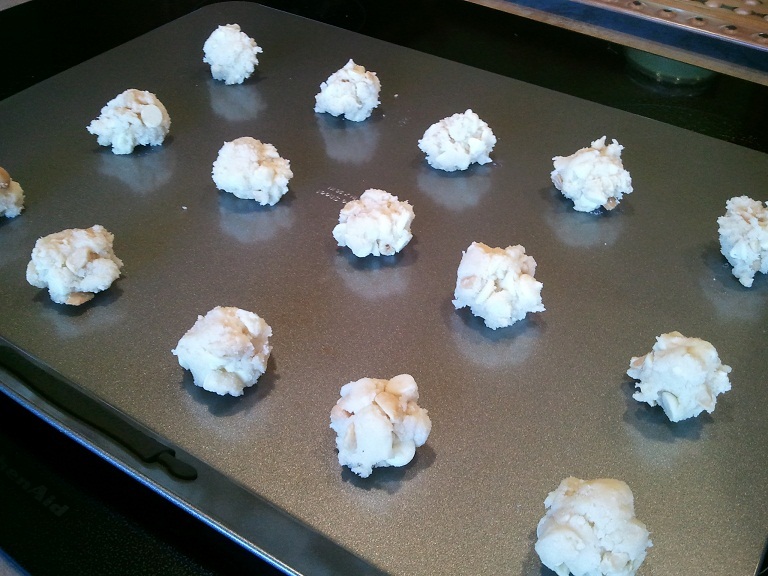 I also put some dough into my mini-cupcake pan, again with the coconut on top. These were super cute, but hard to get out of the pan so I would suggest using cupcake liners. I think the mini-cupcake cookies would be nice for a shower or special occasion, or to cheer someone up, don't you?